The Aquarion Water Company headquarters in Bridgeport, Conn. June 2, 2017. Aquarion Water Company today announced a water main replacement project beginning April 1 on Franklin Street and Riverside Avenue in Westport. Additional water main replacements on Railroad Place, Kings Highway North, Iris Lane, Old Hill Road, East Meadow Road and Valley Road will also be completed later in 2019. 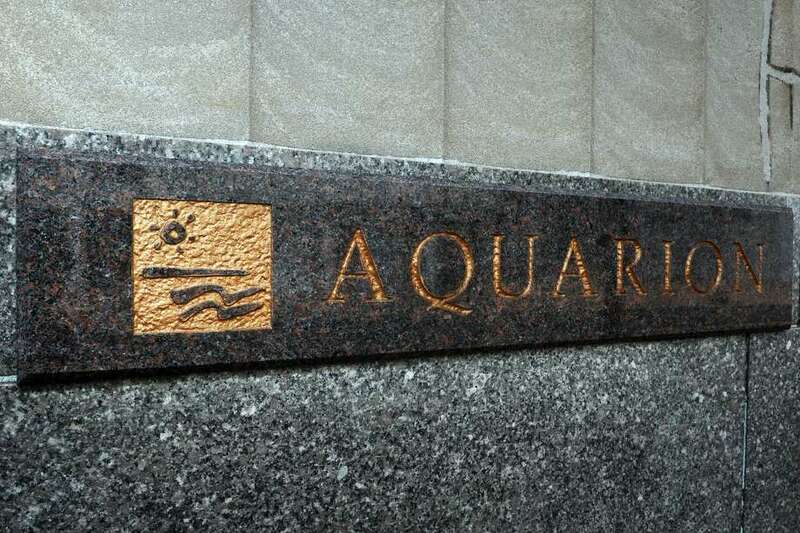 The project, which will replace 11,200 feet of water main, is part of an ongoing program to improve Aquarion’s water distribution system and to ensure the highest quality water, the announcement said. The infrastructure upgrades will also help to reduce leaks and water main breaks that can cause service interruptions. During the project, customers in the area may experience temporary service disruptions or discolored water, the company said. The company recommended customers store water in their refrigerators for drinking and cooking in case these circumstances arise. Customers also should refrain from washing laundry if their water is discolored. Prior to resuming use, customers should run their cold-water faucets until the water appears clear. Due to construction, customers should expect minor traffic delays and possible detours during the working hours of 7 a.m. to 5 p.m.
Westport, CT-based A.J. Penna & Son will be serving as the contractor for the water main replacement project. To keep customers informed about scheduled/unscheduled work, Aquarion utilizes a CodeRED notification system to call affected customers. Customers are encouraged to sign up for this free service at www.aquarionwater.com/codered. Project updates describing the construction status, schedule for the following week, changes in traffic patterns, and detours will be posted weekly on Thursday evenings at www.westportct.gov. Customers with project-related questions may contact Mark McCaffrey, Aquarion’s project manager, at 203-362-3070. For service or water-related issues, contact Aquarion Customer Service at 1-800-732-9678.